Learn to cook Malaysian dishes under superb guidance of Chef Shuk. Admire the intricacy of wooden house which resembles a palace in the bygone era. 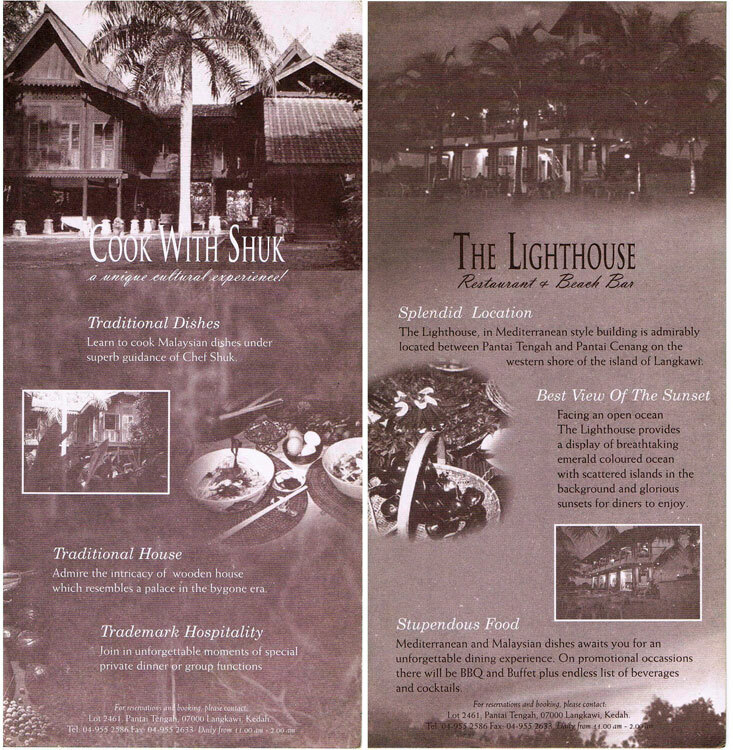 The Lighthouse, in Mediterranean style building is admirably located between Pantai Tengah and Pantai Cenang on the western shore of the island of Langkawi. Facing an open ocean The Lighthouse provides a display of breathtaking emerald coloured ocean with scattered islands in the background and glorious sunsets for diners to enjoy.